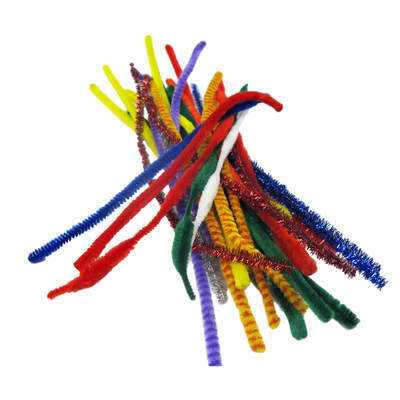 Add colour and texture to 3-dimensions art with our Gompels Chenille Pipe Cleaners Assorted. Lightweight enough for use by all ages, these flexible cleaners can be moulded to the shape you require and affix easily with all types of adhesive. This large pack offers enough pipe cleaners to supply an entire class with a wide assortment of colours for any task at hand. Use to create textures models, add detail to collages or simply create freestanding masterpieces to show off proudly. Here at Gompels, we have a wide range of resources for your next Arts & Crafts session that are sure to appeal to all ages. From our Binca Squares Assorted through to our Gold Fabric Pack Assorted, discover everything you're looking for at exceptional wholesale prices.